This congregation first gathered to worship in local farmer A. W. Friberg's granary in 1896, using hay bales as seats. 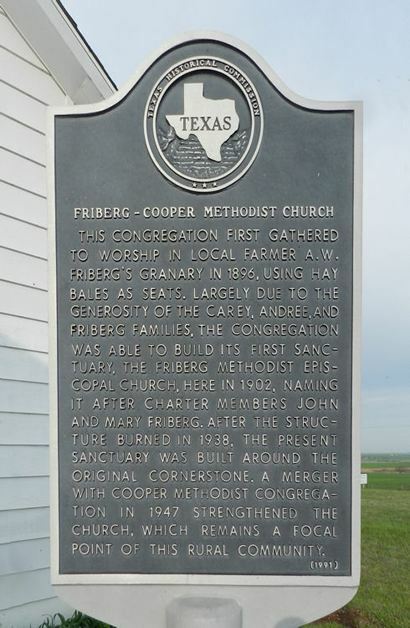 Largely due to the generosity of the Carey, Andree, and Friberg families, the congregation was able to build its first sanctuary, the Friberg Methodist Episcopal Church, here in 1902, naming it after charter members John and Mary Friberg. After the structure burned in 1938, the present sanctuary was built around the original cornerstone. 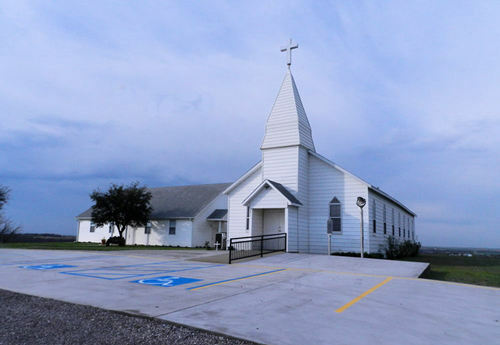 A merger with Cooper Methodist congregation in 1947 strengthened the church, which remains a focal point of this rural community. 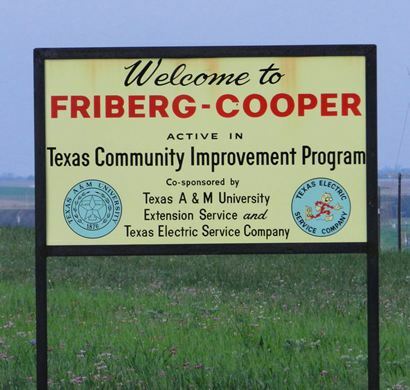 Friberg School was created in 1895 to serve families in this area. 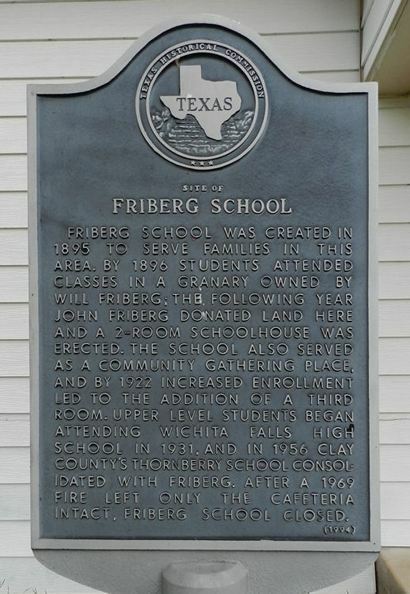 By 1896 students attended classes in a granary owned by Will Friberg; the following year John Friberg donated land here and a 2-room schoolhouse was erected. The school also served as a community gathering place, and by 1922 increased enrollment led to the addition of a third room. 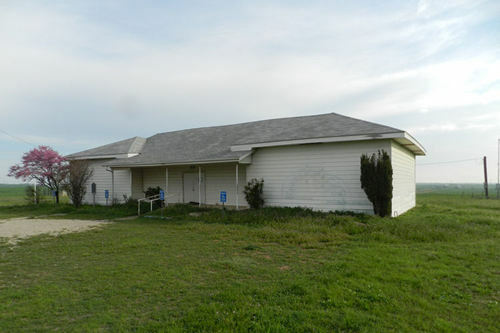 Upper level students began attending Wichita Falls High School in 1931, and in 1956 Clay County's Thornberry School consolidated with Friberg. After a 1969 fire left only the cafeteria intact, Friberg School closed.